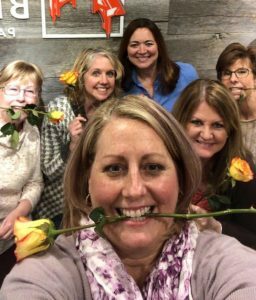 We launched our Nashville Chapter on January 8th and we are excited about the amazing things these ladies will do in the Nashville area. We envision Nashville’s MWC chapter being full of life. Empowering women to move forward with strength and tools to support them. We see women grieving, growing and evolving together in a community of women who have endured the same loss. The culture of Nashville MWC will be uplifting support for the amazing women of music city. Our MWC Janesville Wisconsin Chapter was recently featured in a great article in Gazette Extra newspaper. Twila Claas, Karla Simpson and Jean Lademann (pictured), are leaders of the Modern Widows Club in Janesville. 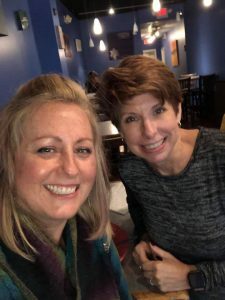 It is not your typical grief group because it is, instead, focused on life. The group meets from 6:30 to 8:30 p.m. the second Tuesday of each month at Blackhawk Community Credit Union on Kennedy Road in Janesville. 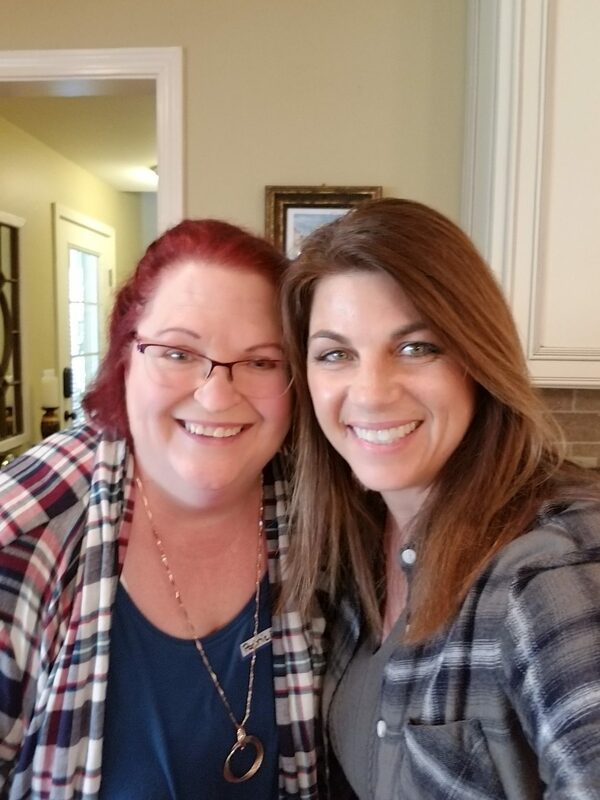 Carolyn had a discussion with American Snippets Co-Founder, fellow widow sister and veteran advocate, Barb Allen about her story, widow statistics and her vision for bringing more awareness and hope for widows everywhere. Kathie Lee Gifford’s new movie ‘Then Came You’ filmed in beautiful Scotland, with co-star Craig Ferguson has yet to release, but her powerful story and message of a widowed woman who finds her voice in rebuilding a new life and a love for what is joyfully possible will inspire all who have ever faced a major life adversity and came out the other side an even better human being. We were honored to be invited and special beneficiary at the first screening of the movie in Nashville, TN on December 16th. Kathie Lee Gifford and Executive Director, George Shinn, welcomed a special VIP list that included many of our Modern Widows Club leaders and Carolyn shared her vision of MWC with those in attendance. We were blessed and look forward to an ongoing partnership with Kathie Lee. In nonprofit world, Guidestar is the tool used to create total transparency about your impact, P&L, 990 reporting with society at large. It’s where Amazon Smile is connected and many other things to our human services nonprofit. We have just reached the highest level of honor- Platinum Seal of Transparency. If you ever wonder what the outside world sees about our data and NPO impact you can too. This is why we ask you to keep track of numbers of attendance etc. We must report all of that in order to remain an upstanding nonprofit for potential grants, foundations and individual donors to see the mission being served. We update this twice a year and it’s pretty amazing to see the progress since we started in 2011. Please feel free to share this with anyone inquiring about this little organization so they can see our growth over the years and how far we’ve come so they can become a part of something really good and growing in the right direction. Widow Empowerment Event was a HUGE SUCCESS! The Widow Empowerment Event was such an amazing experience with the widows that attended this year. If you missed it, you truly missed a powerful, healing and a wonderful bonding experience for new and “returning” wisters. Our disco party was totally groovy and we all had fun dressing up! I truly hope those who attended, took home fond memories and returned home stronger, more empowered spirit of who they are! Thee are just a few highlights of our amazing event. Already excited to see them all again at next year’s event in HOUSTON, TEXAS!! On International Widow’s Day on June 23rd, we took a film crew and set out to a local farmer’s market to ask random people about what their perceptions of widows. Participants were asked to name which one of of the women on a board would be a widow. Many were shocked that they ALL were. Here are a few pictures that documented the event. Watch the video HERE. Modern Widows Club holds SUCCESSFUL Fundraiser in Nashville featuring Rudy Gatlin, Wynonna Judd, Ed Eason and special surprise guest. 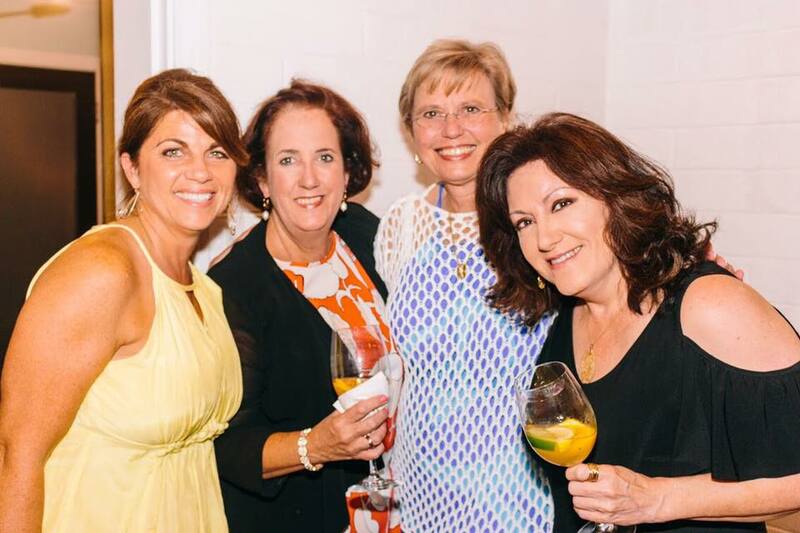 Modern Widows Club partnered with famed Country music star Rudy Gatlin, to hold a special Nashville Benefit for the widowed and fatherless at Green’s Grocery in Historic Leipers Fork, TN on May 6th. The benefit raised money to launch a Nashville Chapter of MWC, as well as reaching out to those in the Nashville area. Special guests were the amazing Wynonna Judd, Ed Eason (guitarist for Carrie Underwood) and special surprise guest Kathie Lee Gifford, who was in town regarding a movie she is involved with about widowhood. 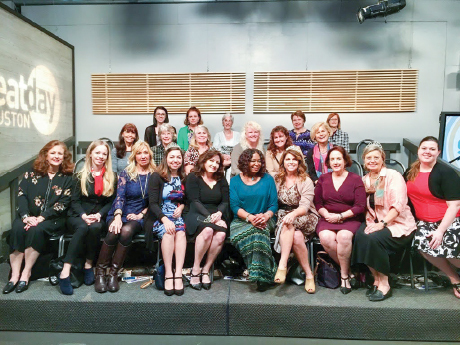 The next day when Kathie Lee appeared on Today with Kathie Lee and Hoda, she shared about her weekend in Nashville including her attendance at the fundraiser and the amazing organization she was introduced… Modern Widows Club! (Click on the image to view video from broadcast). 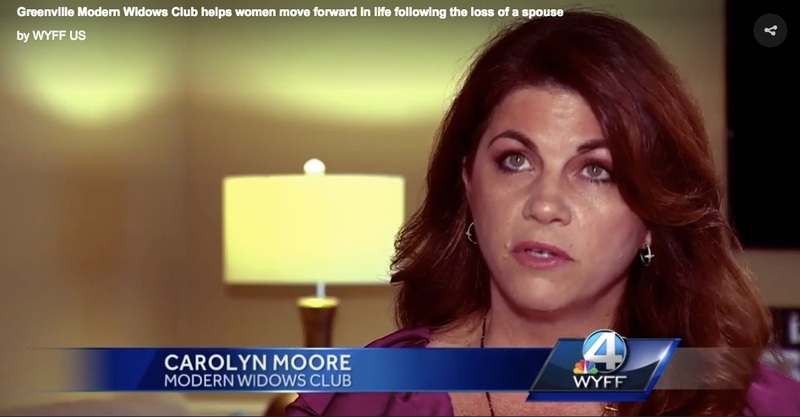 Carolyn and Modern Widows Club was featured in this recent article. MWC has been mentioned more and more in the media. We are happy to see the ideas of MWC is getting out into the widow community. Modern Widows Club received the Platinum Seal of Transparency which means we are accomplishing our intended goals according to our mission and vision. If you want to know more about our nonprofit, please see our public profile here. https://www.guidestar.org/profile/46-1440059 Real women. Real stories. Real love. Together. Forward. Financial Transitionist Institute Creates Strategic Partnership with Modern Widows Club Nonprofit to Serve Widows Globally!